Odell Ferguson’s debut novella is a spare portrayal of a marine reservist and Gulf War veteran, Chris Paige, whose civilian job as a merchandise supervisor at Arlington Stadium in Texas leads to rapid promotions, and whose return to active duty in Afghanistan following the terrorist attacks on 9/11 leads to his death. 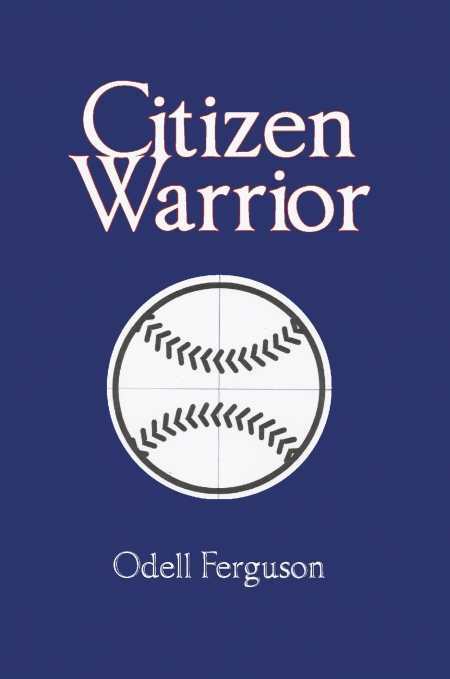 Comprised of thirty-six pages, Citizen Warrior emphasizes events that span more than a decade. As a result, little room is left for developing characters. While it is clear that Paige is proud of his rank of corporal—“I’ve earned my blood stripe”—and that he acknowledges the cost of war, few of his personality traits or experiences outside of his career emerge. Paige appears as a character focused on day-to-day work instead of as a relatable, multidimensional protagonist with intriguing internal motivations. Other characters, including coworkers and military personnel, remain peripheral figures. Ferguson writes concise, episodic chapters, a few of which run no more than a page or two. Incidents are introduced and quickly resolved, from sporting events Paige attends in the course of his employment to conversations with superiors and subordinates. Such incidents, however, appear as slice-of-life moments and seldom further the plot. Military minutiae are interspersed with Paige’s reactions to historic moments, including televised comments in reference to al-Qaeda by George W. Bush in 2001. The result is a fictional life set against a tumultuous, real-world backdrop. A tighter connection between Paige’s civilian career and his military service would have resulted in a more focused plot. Introducing a clearer conflict that leads to subtle character growth would also allow readers to empathize with Paige and his tragic end. Since Paige remains firm in his convictions and ideals about service throughout the novella, there is little movement from start to finish; the call to war becomes an inevitable circumstance rather than a source for self-questioning or a provocative source for narrative tension. Still, the author achieves a fair balance between patriotism and realism. Paige’s actions do not appear as instinctive, blind responses to political fervor; they are well-considered, deliberate choices. That he voluntarily serves as an everyman who believes, without fanfare, that he has “an obligation not only to the officers that I follow but also to the men that I lead” will likely appeal to fellow Kuwait veterans and readers who admire steadfast characters as well as stories of modest heroism.